Need funding for a lighthouse project? For the first time, the lighthouse community itself is generating a grant program to help lighthouse groups across the country. As part its 30th anniversary year, the United States Lighthouse Society is launching its own grant program, after growing its Preservation Fund enough to begin a competitive grants program. 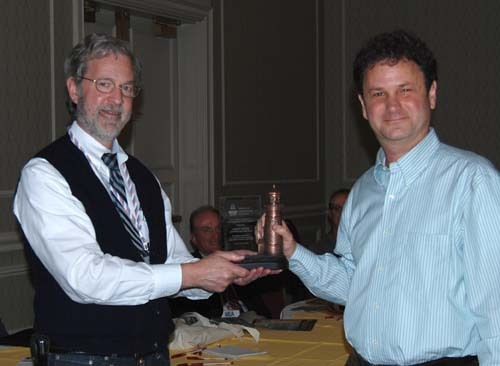 It will be a modest start, but USLHS is still working hard to grow the fund to allow bigger and better support. The Society this fall will open the program to applicants for project funding up to $5,000. No match is required. Watch the uslhs.org website for application details. 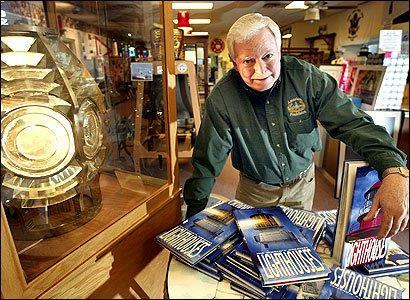 While interest from the fund will allow only a few grants this year, the program already got a boost from a new partnership between USLHS and the Wisconsin-based clothing company Land’s End, which uses a lighthouse logo. 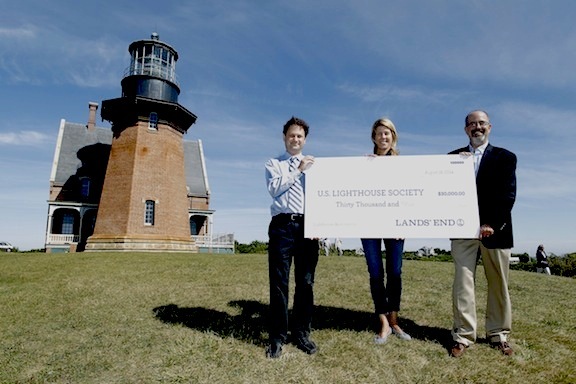 On Aug. 7, National Lighthouse Day, Land’s End donated $30,000 (another nod to the 30th anniversary) and joined USLHS executive director Jeff and grant program manager Henry Gonzalez at the Block Island SE Lighthouse to award that lighthouse group the first $10,000 grant from the program. While there are other lighthouse preservation funds out there the Florida Lighthouse Association is a shining example — this is the first nationwide one generated by funds from within the lighthouse community. That in itself is a significant milestone. The program is off to a good start, and USLHS is hoping for more donations and investment income to make it even better.